The Fresno Cycling Club will wrap up the 2018 Brevet season with a ride called a Populaire (less miles than a typical brevet but in the same style). 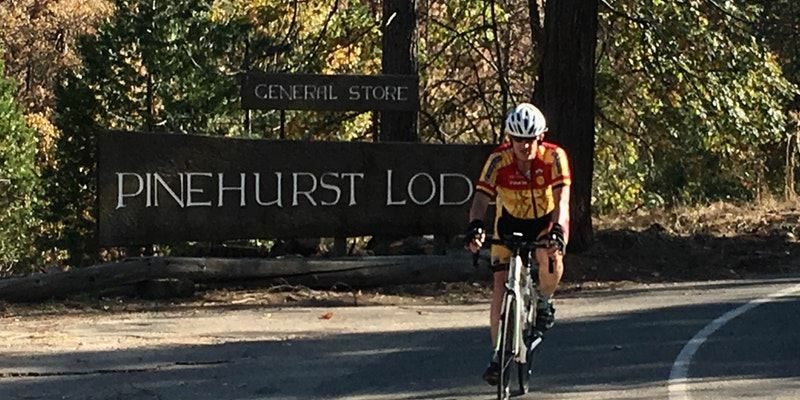 On Saturday, November 3 come out and beat those legs into shape for one more long climbing ride. The ride starts at the Schoolhouse Restaurant in Sanger, climbs Elwood at the end of Wonder Valley and goes through Dunlap to climb Millwood and Todd Eymann into Pinehurst. From there catch the scenic Hogback road to drop into the Sierra Glen Bar and Grill for the control and lunch if you wish. Lots of nice descending on the way back on Dunlap Road and back down Elwood. The finish is in the Tavern at the Schoolhouse where food awaits and the beer is cold. This ride is 87 miles long with 7,700 ft elevation gain. But there are a lot of ways to modify the ride if you want to come out for part of it but not do all that climbing. This is our last day to ride before the clocks change-but be prepared with lights anyway. Route Sheets and Brevet cards will be distributed at the start. Email me at brevets@fresnocycling.com if you would like it prior. Day of event registration is available. Please come early to fill out forms. We have a small group riding tomorrow with 8 registered and maybe a couple more registering at the start. Weather should be great with starting temps around 48-52 degrees and the high between 70-80 degrees. The ride goes up to Sierra Glenn Cafe in Badger, which as far as I know is no longer open. So I will have plenty of water, Heed, light snacks and rolled sandwiches, cokes, chips, and cookies to get you through the rest of the day. I will just set up in front of the closed cafe. Finish is just inside the Tavern at Schoolhouse. Please call me if you have any questions or special dietary needs. See you in the morning...The start has a one hour window from 8-9am. No bathrooms at the start but sometimes the fruit stand on the corner of Reed and 180 is open even when the stand is closed.